In the matter of tax planning it is absolutely necessary for an individual to so plan his tax affairs that the income belonging to his or her spouse or minor child or grandchild, etc., is not included in his or her total income. If, through ignorance, the gifts and settlements are not properly made and the income accruing to the wife or minor son or daughter or daughter-in-law, etc., is clubbed with the income of the individual concerned, then the whole purpose of tax planning is frustrated. In such a case the taxpayer has to blame himself and not the tax laws for the increased income tax incidence. Thus, a father should not accept gifts for his minor son or minor daughter. He may make a gift to the major sons or married daughter so as to enable them to have their separate income tax files. Similarly, a father-in-law or mother-in-law should not make any gift to a daughter-in-law, otherwise the income from the gifted property or amount would be clubbed with the total income of the father-in- law or the mother-in-law. Where a minor is to attain majority during a particular accounting year gifts could be received for him. It is to be remembered that gifts and settlements should always be bonafide and genuine so that they are not considered fake and no further income-tax becomes liable in this regard. As per the Finance (No.2) Act, 2004 gifts from persons other than the specified relatives of the recipient have been subjected to tax. However, gifts from such persons will also not be taxed so long as the gift is up to ` 50,000 for the financial year. Likewise, gifts on the occasion of marriage from non-relatives without any upper monetary limit would be exempted from being taxed as income. However, gift without any upper limit can be given to a relative. 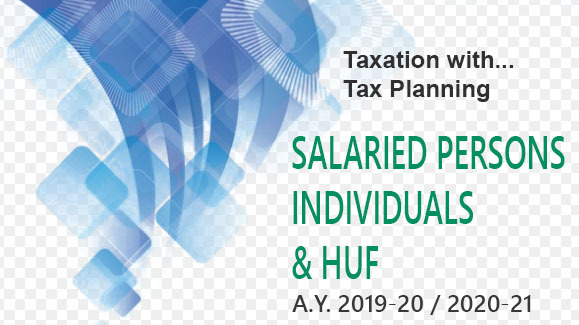 If these precautions and other aspects described in earlier paras are taken care of by individuals while planning their genuine gifts and settlements in favour of close relatives, they will be able to save a lot on income tax by proper tax planning.